Service dogs receive training to provide assistance for a wide variety of ailments and conditions. For individuals with Post-Traumatic Stress Disorder (PTSD), owning a dog can help alleviate stress and brighten spirits. 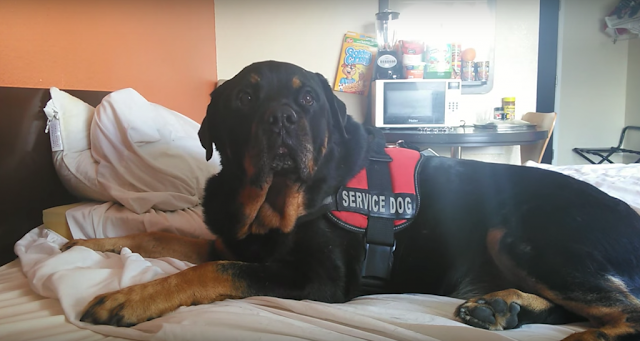 This affectionate Rottweiler named Brutus, featured in the video below, is a service dog trained to assist his owner who suffers from PTSD. Brutus can sense when his owner is at risk of having a panic or anxiety attack, and soothes him with his soft fur and some friendly puppy licks. His presence is more like that of a friend than a pet, and he patiently provides comfort and warmth while his owner’s distress recedes. Dogs are beneficial for owners with PTSD because they offer devoted companionship and provide motives for spending time outdoors and exercising. Pups naturally make heads turn, so they can also give their owners opportunities to meet new people and make friends. Because they are trained professionally they take orders and requests well, which is comfortable for military veterans who were accustomed to giving or following orders. 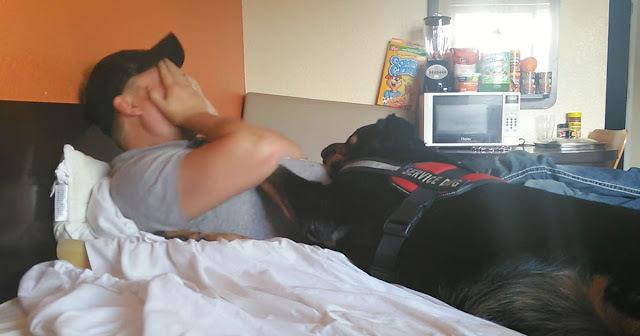 Licensed service dogs allow owners with PTSD to feel safe and comfortable when in different places or situations, and encourages them to expand the realms of their comfort zone. With their furry partners by their side, individuals with PTSD can gradually improve their condition and find the balance they need to create a healthier lifestyle. 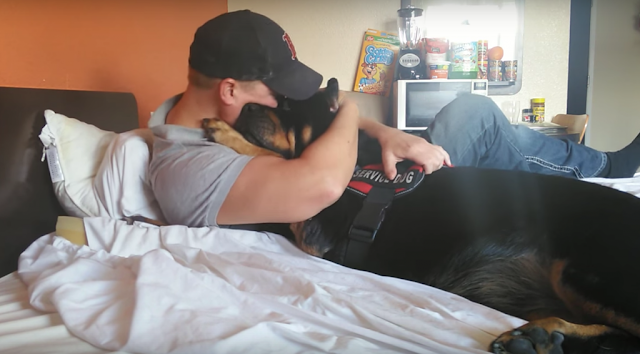 Watch this incredible video to see Brutus’s ability to repress his owner’s anxiety.